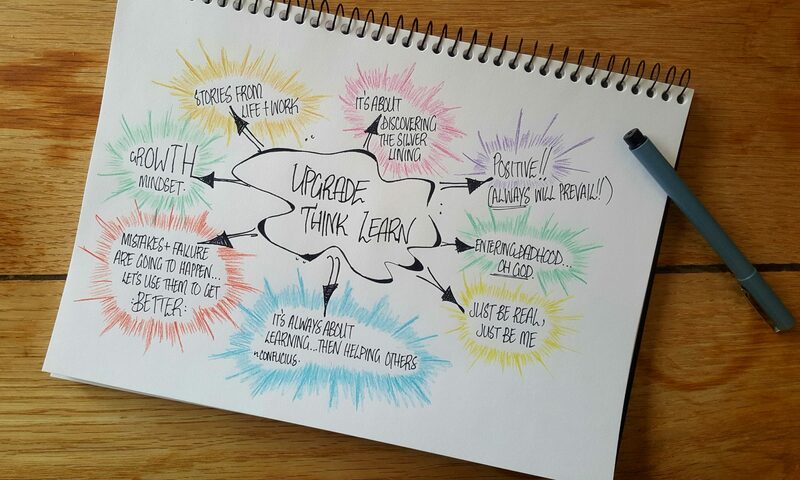 Welcome Ellen, our newest writer on Upgrade Think Learn! With a Masters in Learning Intervention (Specific Learning Difficulties) it’s safe to say she is a legendary source of information… we’re excited to have her join the team! Chances are, if you’re a teacher, you’ve faced a myriad of tricky behaviours. Recently I’ve been having discussions with a number of people close to me who have been unsure about how to approach or work with the behaviours and the kids showcasing them. Whilst it can be easy to jump straight to the most intense and full on behaviours we might face, this week’s post is about focusing on those behaviours that are sometimes seen in the lead up to these bigger issues. Those behaviours we often see during the daily grind of power battles and constant negotiations that occur both within classrooms and in our living rooms at home. These chats with friends have made me recognise the many similarities between parenting and teaching when it comes to helping kids learn, practise and test expected behaviours with us. With the start of term here (hello clearer minds and reduced stress levels! ), it might be a good time to talk strategies for those little cherubs in your class who are still giving you a run for you money. Please note, I am not talking about high level, chair/hamster throwing behaviours (yes, this has happened once), but rather those drip, drip, drip ones that sometimes can be so much more exhausting. When you come across an ongoing behaviour in your classroom (or at home!) that is wearing you down, where do you start? The first question to ask yourself is, what is the purpose of the child’s behaviour? What are they seeking? Are they seeking attention or sensory input (through touching/creating noises)? Or are they avoiding something, such as work that is too hard or another child who is annoying them. Sometimes there may be a legitimate cause for students’ misbehaviour…Exhibit A. Sometimes the undesirable behaviour is a symptom of an underlying root cause. While they may be calling out a lot – and you may think that they just want to be disruptive – try to take a moment to think and look a little deeper. A simple way to do this is to ask yourself, “What need is being met by the child when they are calling out?”. Are they doing this to avoid completing work? To get attention of other students? Or to get your attention (both through negative or positive means)? Having worked out a possible purpose for the behaviour, the second step is to ask yourself, “What is the desired behaviour we want to see from this kid?“. The important part with this is that the desired behaviour still needs to provide the child with some form, or feeling, of getting what they are seeking or avoiding. If a child is seeking attention from you (and most likely is getting this from you by either not settling on a task for 10 minutes, distracting others or annoying people around them) how could you give them some attention for a behaviour that is desired by you and the class? Or, you might have a kid who avoids writing times, and does everything in their power not to write, due to having had years of struggling with writing and feeling like a failure. It isn’t that they are naughty and are out to frustrate you, chances are they’re avoiding writing because they have a negative view of themselves as a writer. You might try connecting with things they love talking about, or investigating times for voice typing as a means to change how they see themselves as a writer. For those disorganised kids in our class (let’s be honest, we all have them) it might be about giving them praise in front of the whole class for having their things ready to go at the start of a lesson… or even just ONE thing. Remember, always start small knowing you will be able to scale up! Identify the behaviour you are wanting to become the norm and explicitly tell the child that that is what you are looking for. Sometimes as teachers we can make the mistake of assuming our students are mind readers… when in doubt, spell it out. Finally, explore how you can promote the desired behaviour. Identify how you could create a class environment that promotes the desired behaviour. If you’re wanting them to clean up, how could you create an environment that promotes this? Encourage the desired behaviour and choose a positive reinforcement as a consequence to promote that behaviour. Positive reinforcements can be a variety of things – praise, negotiated free time, classroom points or class rewards. Whilst we might expect want kids to simply come in and know how to behave, unfortunately that isn’t the case, so we as the adults need to adapt how we set them up for success. In the end, the key with our positive reinforcement is simple: make sure it is something students will be excited about and motivated to receive! Who would have thought they wanted quiet free time with lego so badly? Interested in a resource to help reduce and get rid of those tricky behaviours? Join our community to get our Positive Behaviours Planning Tool to set up yourself and your students for some better days ahead! Previous PostPrevious It’s Time For Our End of Season Party!